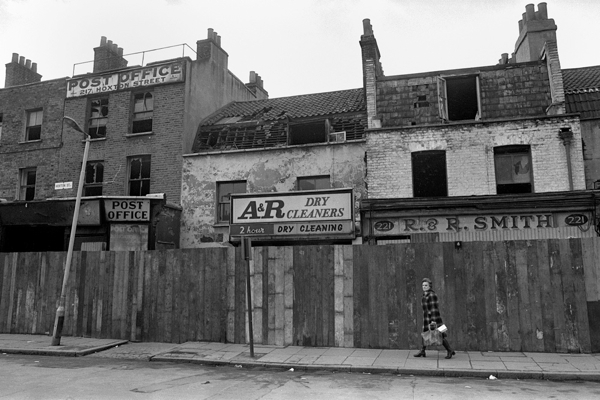 Photographer Tony Bock left the East End in 1978, and this is the East End he left behind – witnessed in these haunting pictures published for the first time today. 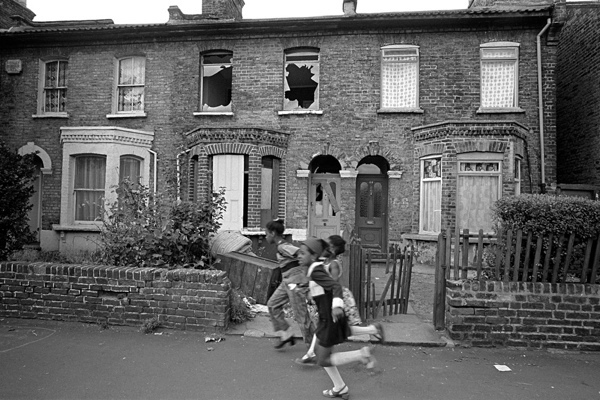 After dropping out of photography school in Toronto, Tony came to the East End and worked as a staff photographer for the East London Advertiser between 1973 and 1978. 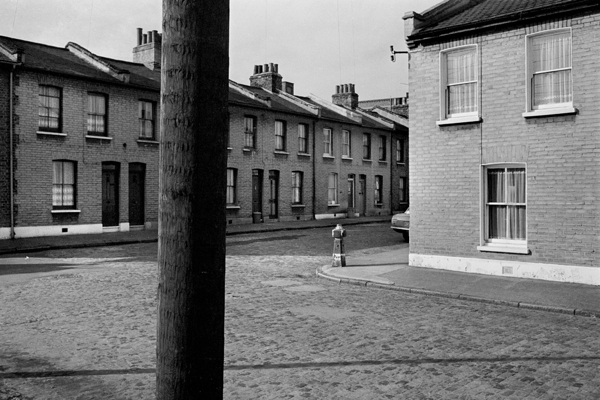 He encountered a world in upheaval and only just managed to photograph Belhaven St, Mile End – where his mother’s family had once lived – before it was demolished. 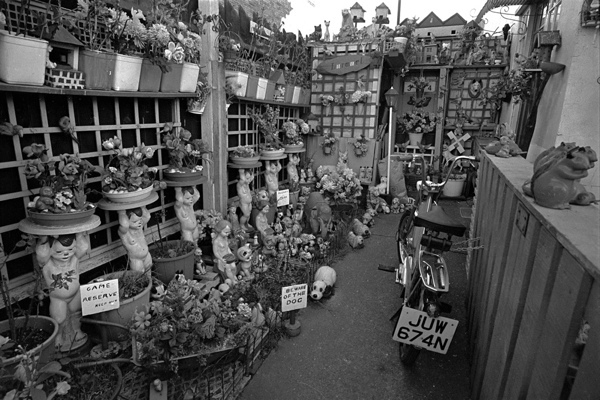 Yet there is a subtle poetry in each of Tony’s pictures that never fails to acknowledge the human presence, even in seemingly abandoned places. They are the poignant memories that he carried away with him when he left after his brief years in the East End, returning to make his life in Canada. 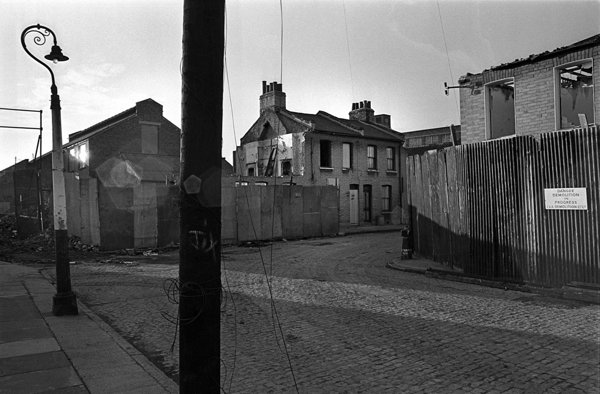 Those corrugated iron fences is what I remember of the East End in 79, they were everywhere still hiding bombsites. 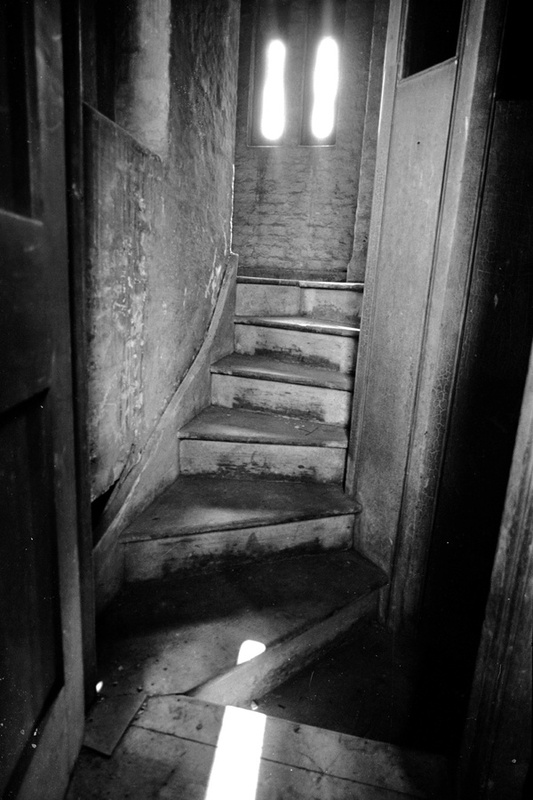 The stairwell of the Old Fire station: the building now houses the Buddhist Centre of the Triratna order previously known as Western Buddhist order, which is flourishing at the moment. 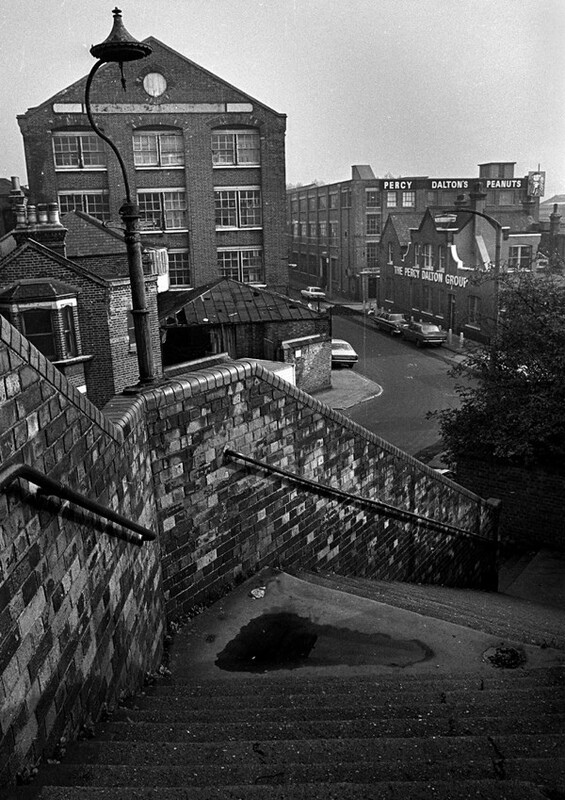 Tobacco Dock was the operating patch of those midwives portrayed in the recent TV series, a ‘must read’ of the books on which it is based to get a glimpse of the community life that once thrived there. Wonderful images – stunning and heartbreaking at the same time. I’ve loved seeing them, thank you. 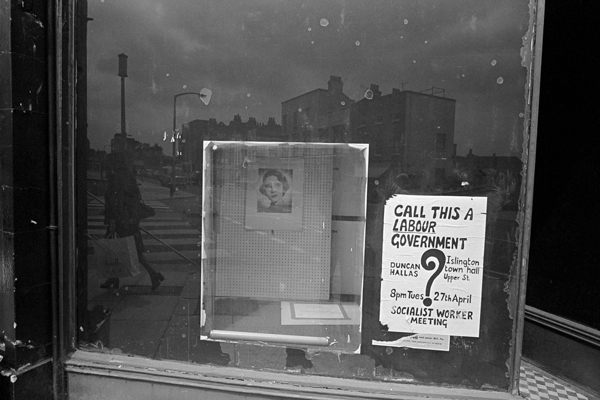 I so love the images that Tony took so many years ago and captured an era. 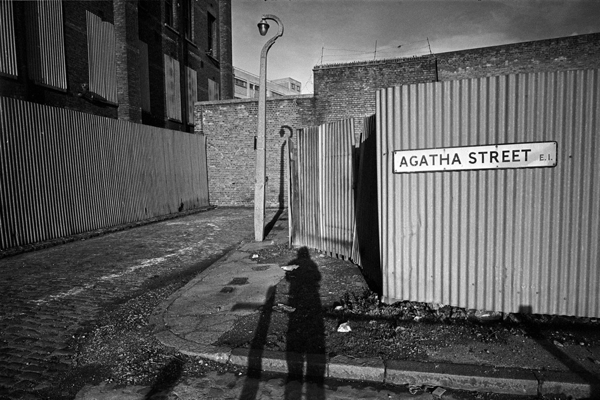 I fear though he is running out of images of London’s East End and I have grown rather fond of them, from the faces, to the railways, to the Thames…Please Tony, do find more. Greetings from another fellow Canadian, in Toronto that loves the East End. To Sprite: I am in the middle of the book that you mentioned and it was the first thing that came to mind as my eyes met these haunting images! Thanks Gentle Author – as always! 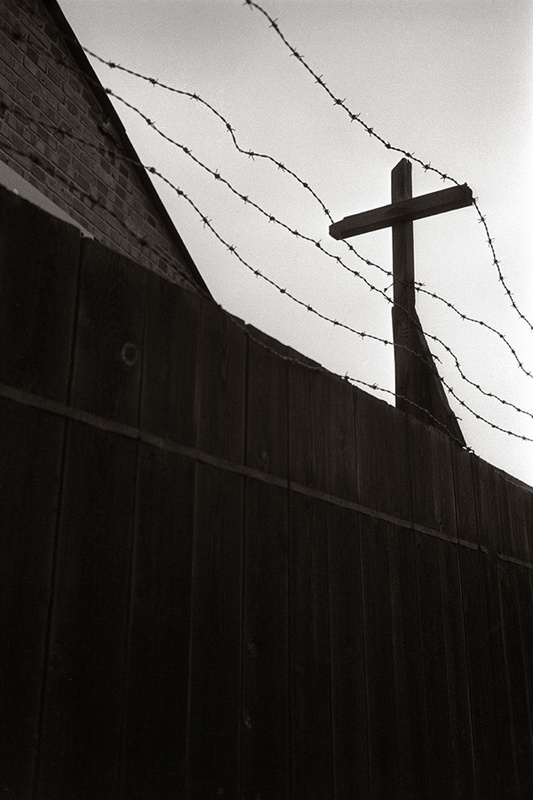 A poignant collection of photos – interesting and as skilful as ever. He was chronicling the end of an era. 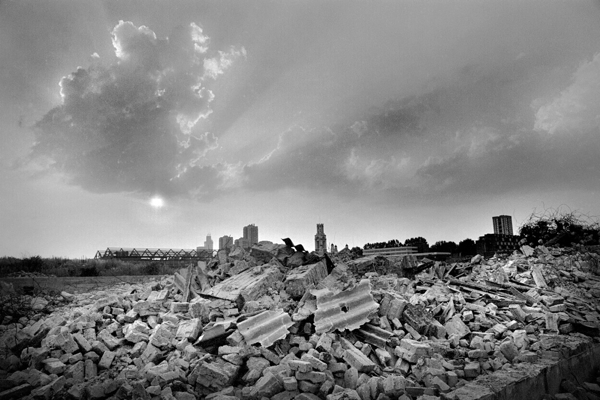 And the destruction continues apace! 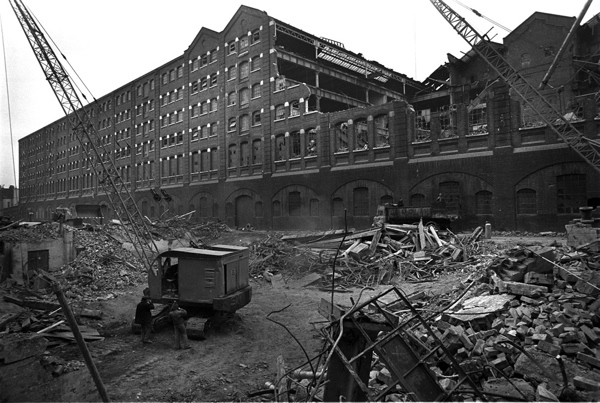 Now the Geffrey Museum is pulling down what’s left of our East End heritage and Boris is using his powers to keep those demolition balls swinging across London. Shame on both. 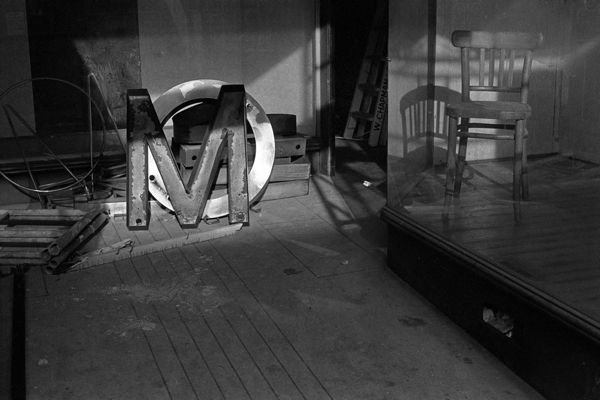 Our own Walker Evans. Wonderful. 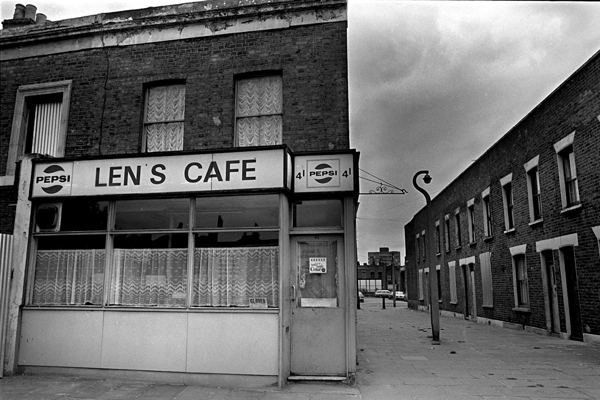 I’d love to see more photos of the East End. My ancestors as far back as the 1760s came from there. 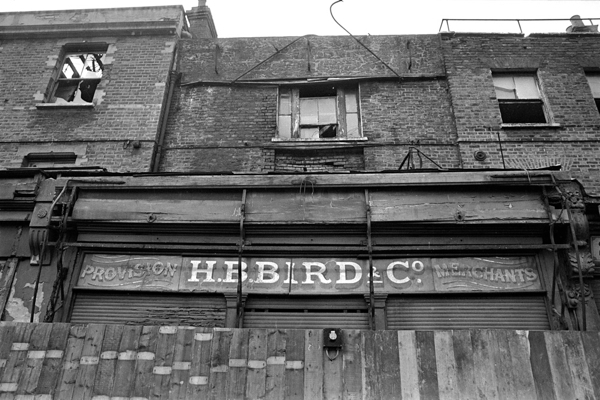 My grandmother was born on Hanbury Street in 1885, grandfather born in West Ham on Leytonstone Road and many more. My mother’s cousin took care of the draught horses at Truman’s Brewery and they lived there for many years on Brick Lane. 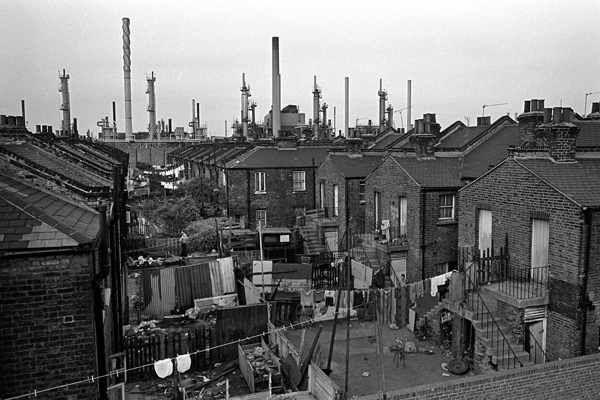 I also come from Toronto and go back to England every couple of years, visiting the East End among other places. Other streets I remember are Connor Street, Hackney; Artillery Street, Bethnal Green and All Saints Church on Buxton Road. 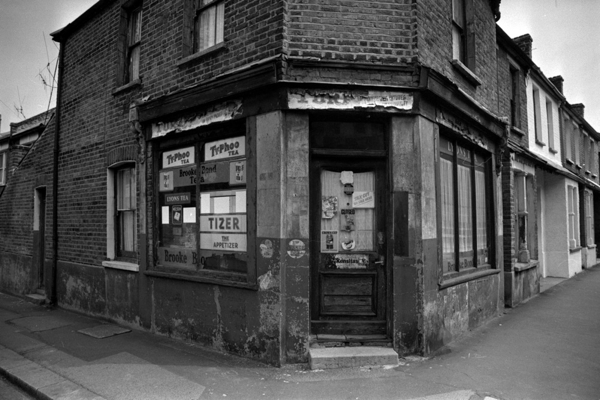 The picture of the corner shop in Plaistow is of the old sweet shop that was owned by Mrs Sparks. 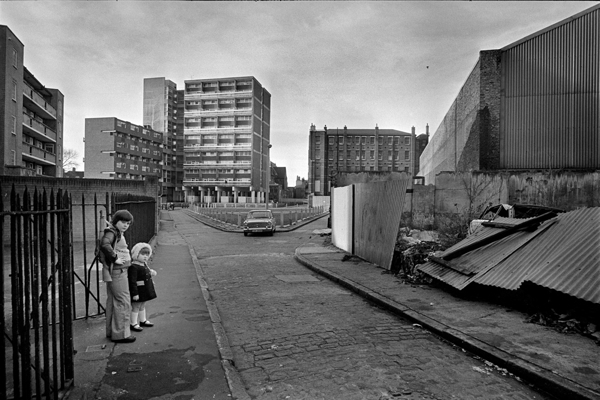 A very interesting site which I found by chance while searching for info on Belhaven St. Does anyone know who was living at no. 22 in 1968 ? Wonderful photos. I have no relationship to London, or Britain at all. I’m from Australia, however I have always had an affinity for London, particularly the Victorian-era. I’ve visited London twice, staying on a converted Dutch barge at Poplar dock, and I insisted on staying in the East End on my second visit. 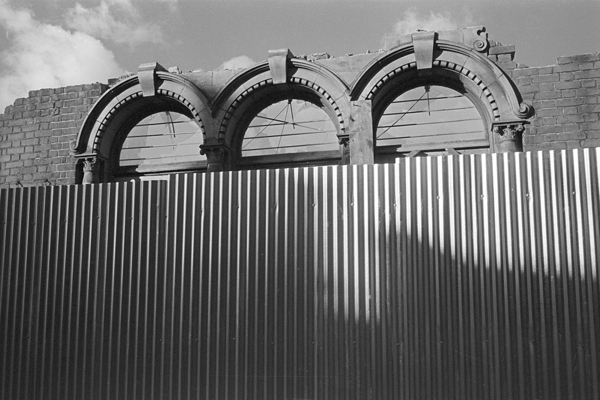 I walked around seeking out pre WWII buildings, specifically from mid-to-late 1800′s. It’s an odd feeling to miss a place that you’ve no connection to in a time long before you were born. My mums family lived at 23 Belhaven st for many years,i also lived there for a year as a baby until 1956,but my nan stayed there until approx 1966.There surname was Gordon.The neighbour s name was mrs day but bot sure if that was 22 or 24. 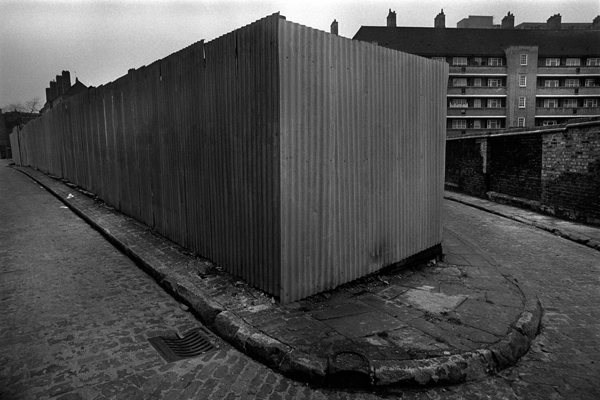 I remember the wired playground at the entrance to the street and a train line behind the small paved garden. My nan used to frequent the Queen victoria pub(often lol) on the busy main road. 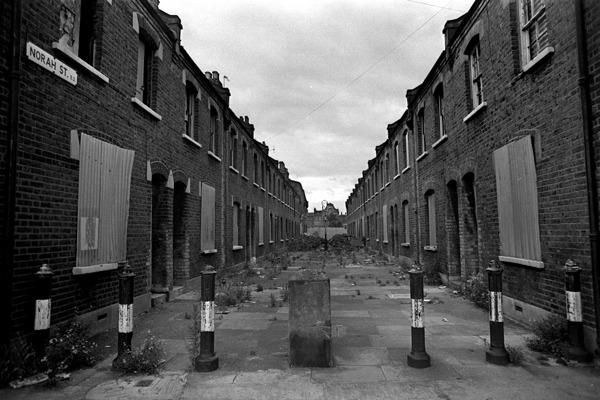 Loved visiting the east end,and also Alloway road and tredegar terrace where aunties lived.